I’ve had a great day out cleaning today. I went to Taunton and cleaned a Redfyre 4 oven range cooker (Picured). It was booked in as a four oven AGA. But when I got there obviously it wasn’t. This is only the second Redfyre range I have ever done so was different. Looking at the configuration it was closer to a two oven AGA plus module but I didn’t mention the higher price and got on cleaning it. The Redfyre, which apparently is now owned by the AGA Rangemaster group is a great looking cooker, and on the quality side it felt more solid than an AGA. The Redfyre could be called an AGA copy, but they copied the AGA and made it better (which is probably why they were bought up by AGA), the doors were thicker and heavier with more insulation and also were easier to clean in that they had enamel linings. The oven in the ‘module’ was dirty and getting the fan cover off was a bit tricky but I managed to work it out and dipped it and the fan, and both came up very well. Cleaning the inside of the ovens was difficult as the floor of the oven was cast and really it was a case of doing the best job that I could. The top of the range was pretty clean so only needed some detail cleaning, the owner was impressed with my Tesco toothbrush which got out some residue from the hinges. The Redfyre looked great at the end. I noticed that even though this range would be considered a higher quality range the hob on the top of the ‘module’ was a Baumatic which you wouldn’t think of being a quality item but really it really seem to be good, the hob stands sat very neatly on the top each of the burner units. In all I found the clean to be a good experience though as I said that fan and cover was tricky.So that job was priced at £155. Then I drove across Taunton to Cotford St Luke and cleaned a NEFF double oven. As this customer has been with us for years (she was one of my first customers in April 2004) the ovens didn’t have any burnt on carbon just the greasy stuff so was a relatively fast clean. This job was £70 and then I drove across to the other side of Taunton and cleaned a Stoves standard double oven, again another £70. This oven had lots of burnt on carbon but the Stoves was unusually in that it was completely enamel inside rather than being mostly self cleaning like they normally are. Then it was drive back up the motorway to the office. Matt was waiting for me as he had a problem with his element – we changed it a couple of weeks ago but it had already “gone”. So that is the Screwfix Tatanium element off my list. The inside of the thermostat was wet meaning that the weld around this had failed. So a fail in two weeks not good. 1. We have a very good working relationship with our local Peugeot dealer and have used them to service all our vans for the last four years and we have had some very bad experiences with Citroen dealers which have cost me both time and money with lots of added frustration. 2. The van has all the features of the Citroen Berlingo, good fuel consumption, good cabin storage everywhere including overhead storage, full steel bulkhead, and also has some better quality additions such as Michelin tyres and some factory options such as ‘stop and start’ which may be useful for some franchisees in the future. 3. The van isn’t that much more in cost than the Citroen Berlingo and we have arranged for added value Free Peugeot Protector application to each van. 4. As we are completely lining the back area of the van this fit has worked better with the Peugeot than the Citroen and with the Peugeot we can get the optimum tank arrangement that we like; that is the two tanks (oven cleaning dip tank and water rinse tank) side by side, allowing the rinse tank level to be observed when working in the back area, rather than one tank in the back and the other one in the centre area as we have had to do with the VW Caddy. 5. It has three seats in the front which means you can take two passengers if required. 6. There are more Peugeot dealers than Citroen dealers in the UK. 7. We like the Peugeot badge on the bonnet rather than the Citroen one. We picked up my new Peugeot van today. It has been with Peugeot for the last week as they were putting in a new loom for the 240 volt supply for the tank to complete the fit out. They have fitted in a plug on the outside of the van and loomed it through to the tank. It looks a very neat job with trunking for the whole length from the element to the socket and now completes the van fit which is going to be our standard van fit for franchisees. It really looks professional and certainly has the ‘wow’ factor with the whole back are being white and everything else is fitted neatly. As I have said on a previous post I have made effort to ensure that it is the best fit-out that is in the market at the best price and have put together a team who have developed this fit for us. With the ‘wet area’ in the back which has welded seams to make it water tight and our unique insulated tank (that stays hot all day on one charge) with our own quarter turn fasteners, and the arrangement of the dipping tank and the water rinse tank, side by side, I think I have come up with the best set up you can get for an oven cleaning business, ensuring a fast system that is both practical and one that will work for the life of the van ensuring the value of the van isn’t affected by the leakage of any solution from the tank. stop working. It can be a couple of weeks or a few years before they need changing, that is the life of them varies, and depends on quality of build. I have tried cheap copper ones from Screwfix and they have failed in a week, but the slightly more expensive ones have gone on for years. On Monday night Matt R rang to say that ‘the van’ was throwing the breaker switches at his parents house (as he lives in a flat he heats the van up every night at his parents’ house about a mile down the road). It had happened twice. So a sure thing that the heating element in the dip tank had ‘gone’. That is it was shorting out because the solution was leaking out of the tank on to the electrics through the heating element. So what do? My Jelly van is with Nigel as I did a swap with him to get his van as some time I need to get his van into the garage to get the radiator replaced as it is overheating on long runs on the motorway. My van’s element also had ‘gone’ and as I hadn’t had the time over the last couple of weeks it hadn’t been done. 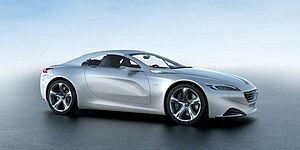 My new Peugeot has been in the garage for the whole week as the electric guys are working out a solution to get a better quality electric insulation for the tank for me. So the only thing was to change the element. So I met Matt at the office at 0830 pm on Monday night and we emptied out the solution from the tank and fitted a new element. As Matt R has our new Citroen Berlingo the van is now two and half years old and this is the first time that we have had to change the element. It also has the new tank with the element at the front which makes it easier to change, we don’t have to take the tank out of the van like we do on our older vans (and is a reason I haven’t fixed my Jelly (Daihatsu) element). So with a the big immersion heater spanner, torch, a long screwdriver, and a crimping tool, and some sealant I fitted the new element, I used a Titanium element that I bought from Screwfix, so it will be interesting to see how long it lasts, the quality seems to be very good. We swopped over the thermostat to keep the higher temperature one. We put in a new solution to the tank and then heated the solution through and it was ready to go again within the hour. Matt went on and did is Range in the morning and AGA in the afternoon the next day. 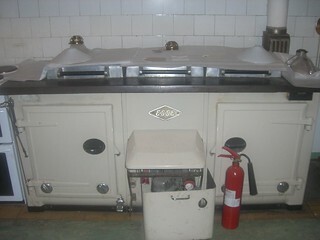 Tyntesfield just down the road, from our office, in Wraxall in North Somerset.And what a beauty of a cooker. It’s the largest Esse cooker I’ve ever seen. I spotted it when we were looking around the house a year or so ago and I asked permission to take some photographs and also asked them if they wanted it cleaning which they replied in the negative. So it may still look like this dirty and scruffy. I guess they wanted the authentic look rather than the gleaming out of place look. Shame really. But the cooker is really interesting in that it is a very large Esse Range cooker compared with what Esse manufacturer today. All the Esses I have seen have been two oven ones, I have cleaned quite a few of them. Apparently the Esse was installed into Tynesfield in the 1930s or 1940s so must have been one of their range for Mansion houses at the time as it is huge. It would have been originally wood burning and they did mention that it had been converted to oil at some time. Looking at the History of the Esse Page on the Esse website, Esse were the market leaders in this type of cooker and look like they came up with the ‘AGA Cooker Design’ before AGA did which is an interesting fact. Also I can remember the National Trust Lady who told us the history about the kitchen mentioned that Florence Nightingale swore by Esse’s and I see that is on the history page too. Also they have appeared in a James Bond Film – “A View To Kill” which was on the box the other day. I think we recorded it I’ll have to look out for the cooker next time I watch the film. The pictures show the Esse Major in all its dirty glory; the National Trust’s lady’s walking stick is in the picture of the door open as she put it there to open the door so I could take the photo. Anyway fascinating stuff and I’m glad I didn’t have to clean this Esse! But if they did ask I would like to spend some time on getting it gleaming. If you didn’t see here is the article that the Daily Mail wrote last week comparing the performance of cleaning products in the home. Astonish oven cleaner was the product they used against other products described as general kitchen cleaners and it came out top as their number one cleaner! And the best thing is that Astonish really is an eco cleaner. In the test they compared the performance of the products to clean a bathtub, a saucepan, limescale on the sink, mud on floor tiles and a cooker hob. I know the cooker hob was the only one in the list that Astonish was designed to be used for but I know and now you know that it also a great product for lots of other tasks. I recommend it for cleaning anything enamel, especially the AGA cooker – it used to come with the pack when you bought one new but I think AGA now try and promote their own cleaning products which in my opinion aren’t very good at all. I have used Astonish to clean thousands of ovens etc and I have cleaned a few sinks, and other things with it as well. So in the tests Astonish got 10 out 10 for everything except the floor tiles where it got 5 because it left a powdery residue and the tiles didn’t shine – I know from experience that this is what happens to floor tiles and we use a degreaser on floor tiles if we just happen to make them dirty, and they come up looking fabulous. Oven Pride has been recalled – so please be aware of this. So if you have or know anyone who has a bought this product or have this product in their house then they can get a full refund from the shop they purchased it from. There has been a serious accident where a little boy drank from a the Oven Pride bottle left on a table by his grandmother. As the contents is a high concentration of sodium hydroxide or caustic the little boy has suffered serious injuries. I have bottle of this in my garage, we were given it at an at a cleaning conference in 2004. I have never used it and intended to do a video on how to use it as you need to be extremely cautious if you have this stuff inside your house. But it is a top seller selling thousands of bottles a week throughout the UK and has been given a Which? award as their top product. The number of sales is something I make people interested in starting an oven cleaning business aware of so they can see the potential of the domestic oven cleaning market. I have just gone out to the garage and tried to get the top of the bottle off. It wasn’t easy you really have to press and turn the ‘child proof cap’ to get the top off. So my guess is the bottle top was already off when the child picked it up, or they may have changed the supplier of the bottle since mine was made and their may have been a fault the top hence the recall. But really I can’t see a two year old screwing any top off. Looking at the warnings on the box it does say keep the bag away from children, but this would be once the fluid has been poured into it. I think they need to put bigger warnings on the product box and really this stuff shouldn’t be kept in the house when not being used.